Best of German Interior Design serves as an overview about fifty of the most creative designers based in German and creators of products to lift your interior design game at home – designers that often go unnoticed by the mainstream as well as its own industry despite Germany not exactly being unknown for quality products, superb craftmanship that not only functions but also pleases the eye and have set a high standard in terms of aestheticism when it comes to domestic bliss. The hefty book comes with a plethora of detailed illustrations, sheds light on the creative process and inspirations of interior designers as well as written elaborations by prominent writers that give background information on products that enjoy borderline iconic status, opinions and well researched themes in the world of contemporary design and both contexts – in terms of history and culture. Contributors include the Creative Director of Studio Lambl/Homburger, Dr. Görgen (Federal Foreign Office, Head of the Department of Culture and Communications), Birgitta Homburger, the President of Christie’s Europe & UK, Middle East, Russia & India Prof. Dr. Boll, et al. 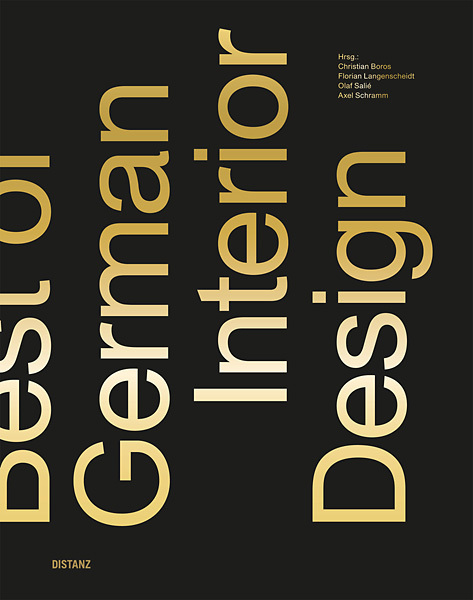 This lavish tome is a heavyweight in every sense and more than a merely classy coffee table ornament: It comprises the essence of German design expertise in 2017 across a myriad of disciplines, enabling readers to decide for themselves which of these examples reveal the typical characteristics of German design. Istanbul is home to Autoban, a design studio that is held in high esteem not just by industry experts. The book is based on a presentation of the projects that carved out Autoban’s signature style and concepts for a myriad of architectural undertakings that somehow incorporate both ends of the spectrum – urbanism and cosmopolitanism as well as an appreciation of cultural heritage. a rich selection of Autoban’s breathtaking projects that are documented in striking photographs and plans. Seyhan Özdemir and Sefer Caglar founded Autoban in 2003. Visiting Istanbul without encountering one of their creations, influenced by the Bauhaus school and refined to their very own style, is nigh an impossible feat. Autoban has not only left a significant dent, but changed Istanbul social life’s DNA with their projects and are now establishing an international reputation. They have just finished the cavernous interior of Baku airport in Azerbaijan, which resembles a boutique hotel crossed with a transit hub, and the design of two new restaurants in central London for Wagamama founder Alan Yau. The book on Autoban is an opulent account of their work, which is not merely art pour l’art, but shows work that is neither elitist nor prescriptive in nature, but story-driven, considered, premium, witty, idiosyncratic, timeless ... modern Istanbul. This book is the diametric opposite to serving as a source of inspiration – au contraire, it’s more about being a “how to not…” kind of cautionary tale. Not that the works depicted herein are of bad quality – most of them have been awarded prices and have been praised by their peers - the point that is made is that they are plagiarized. What is refreshing is that the book is not being judgmental but focused on facts and empowering the reader to make the call. 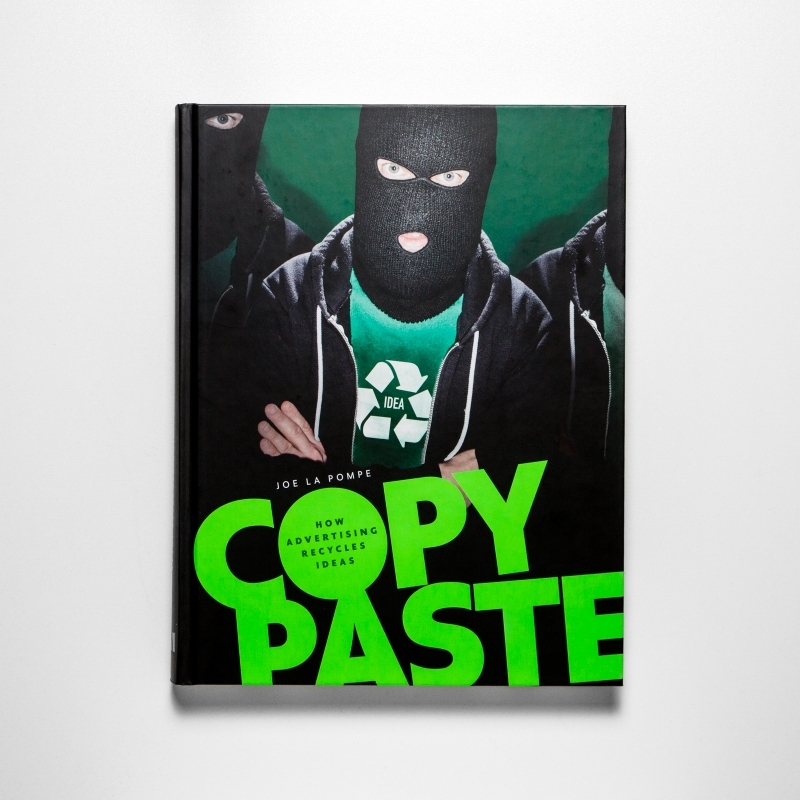 Copy Paste was compiled by Joe la Pompe and is essentially a plea and advocacy for originality. The author Joe la Pompe has dedicated the last two decades of his life to the pursuit of illuminating concepts and ideas that have been rehashed over and over again to be spoonfed to a consumerist society and has consequently become known as a “copycat hunter”, heralded by industry and he catches them in flagranti. The aim of Pompe’s approach is the precise documentation of plagiarism in the world of advertising, 618 of them. A couple of visual lessons in originality: Campaigns are allocated hashtags that allow readers to interact with Joe la Pompe’s extensive research, cast their opinion online, and make their own judgments. An essential compass for anyone remotely involved in advertising – one that clearly shows which rabbit hole you would not necessarily want to tumble down. Newspaper Design, showcasing the best of editorial and graphic design from the most renowned newspapers across the world, with the objective to prove that skillful news design matters more than ever before as well as Visual Journalism with infographics from the world’s most prominent newsrooms and designers. The Monocle Guide to Hotels, Inns and Hideaways: A new installment of Monocle’s globally minded book series shedding light on where to find good hotels and how to design or run your own. Nordic by Nature, paying homage to the Nordic kitchen, its innovative approach to cuisine, creativity and longevity. which will be featured in our third installment on Gestalten in early 2018.